The state of New York is finally seeing the fruits of its policy decision to expand gambling in the state which was made a few years ago. Gov. Andrew Cuomo had pushed through a proposal to build upto four large scale commercial casinos in the state to increase revenue to the state’s coffers in 2013. The move required a constitutional amendment as until then only tribal casinos were operating in the state under federal law. Once the measure received approval from the voters and the legislative houses, four casino licenses were issued. Three of the casinos projects approved have opened in the last few months, kicking off a new revenue stream for the state. Tioga Downs Casino was the first one to launch despite having been the last one to receive its casino license. New York real estate developer Jeff Gural won the license which involved transforming the former Tioga Downs Racetrack to a full casino. According to the Gaming Commission, the casino has generated $16.4 million in revenue since launching in December 2016. Slot machines were the most popular form of gaming, accounting for a major portion of the total revenue at $13.8 million since its opening till February 26. Table games revenue was $2.2 million in the same time period while from poker tables it was $352,376.The casino floor has 461 slot machines, 12 poker tables and 23 table games. The del Lago Resort & Casino was the second to open. It features 2,001 slot machines, 12 poker tables and 77 table games. According to latest data, the gross gaming revenue for the venue was $13.1 million for the first month of operation. Again slot machines were the major contributory segment with $10.4 million. Revenue from table games was $2.5 million while in case of Poker tables it was $252,325. The third casino to open was Rivers Casino & Resort Schenectady which had its launch on February 8, featuring 1,150 slot machines, 15 poker tables and 67 table games. The total revenue for this venue in its first three weeks of operator was $10.1 million. Revenue from slot machines was at the top with $7.4 million, while Poker tables contributed $440,899. The final casino is the $1 billion Montreign casino and resort which is expected to open to the public sometime in 2018. Concerns have been raised that the sudden increase in casinos in the region could lead to saturation in New York’s upstate gambling market. 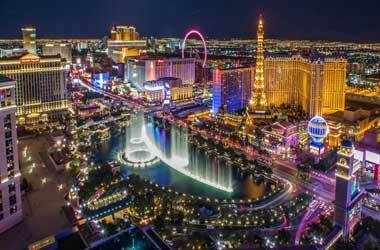 Some industry observers are worried that stronger casinos may cannibalize weaker ones, but others believe that the new casinos will gradually establish themselves as gambling hubs without harming older venues.